Tzumi Wireless Selfie Stick Just $5.99! Down From $25! Ships FREE! 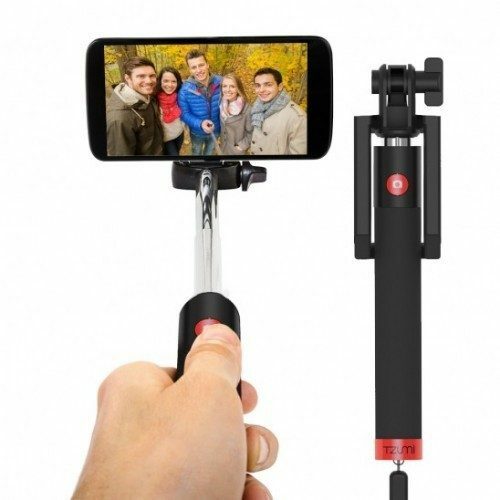 You are here: Home / Great Deals / Tzumi Wireless Selfie Stick Just $5.99! Down From $25! Ships FREE! GearXS has this Tzumi Wireless Selfie Stick on sale for $5.99 (Reg. $25)! Capture your favorite moments without going through the trouble trying to figure out that perfect angle. The Tzumi® Bluetooth Selfie Portrait Stick allows you to easily take multiple photos from endless perspectives. Simply adjust the pole to the desired length, secure your phone within the brackets, check your bluetooth connection, and begin the fun! Compatible with most smartphones, begin saving those personal memories with total control.